Daily Truthbase (DTB) is a devotional blog which will help you to read through the whole Bible in a year. Subscribe to get emails in your inbox every day for a quality quiet time in God's Word. DTB is a great study resource to teach you how to study the Bible like Sherlock 'Olmes (see sidebar). If you find it helpful, spread the word. Pass it on to faithful people who will teach others also (2 Timothy 2:2). Ps 148:1 “Praise Yah! Praise Yahweh from the heavens! Praise him in the heights! 2 Praise him, all his angels! Praise him, all his hosts! 3 Praise him, sun and moon! Praise him, all you shining stars! 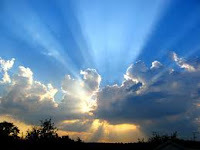 4 Praise him, you heavens of heavens, you waters that are above the heavens. 5 Let them praise the name of Yahweh, For he commanded, and they were created. 6 He has also established them forever and ever. He has made a decree which will not pass away. 7 Praise Yahweh from the earth, you great sea creatures, and all depths! 8 Lightning and hail, snow and clouds; stormy wind, fulfilling his word; 9 mountains and all hills; fruit trees and all cedars; 10 wild animals and all livestock; small creatures and flying birds; 11 kings of the earth and all peoples; princes and all judges of the earth; 12 both young men and maidens; old men and children: 13 let them praise the name of Yahweh, for his name alone is exalted. His glory is above the earth and the heavens. 14 He has lifted up the horn of his people, the praise of all his saints; even of the children of Israel, a people near to him. Praise Yah"
Observations: 148:1-14 This third Praise Psalm (see Ps 146) exhorts all of creation, the heavens and earth, (and all that is in both) to praise the name of Yahweh. The reason given in verse 5 is because God commanded, and it happened, bringing everything into existence as an express of His sovereign will. All the elements on earth fulfill His word alone, and His glory/rule is above/over the heavens and earth. Then in the last verse, the psalm zeros in on Israel and His holy ones (saints), whom he has exalted, and brought near to Himself (as in a near and dear relationship). He's not just the God “way up there” but one who is intimately involved in the lives of His people, exalting them (lifting up horn = power and prosperity; cx. Job 16:15), so they can exalt Him. Application: We should praise the sovereign God of creation because He exalts His holy ones, and brings them into a relationship with Him (it would probably help things if we were holy to be in His presence, fulfilling the purposes for which He created us, and worthy of His exaltation and relationship [cx Israel in most of its history]). Prayer: Sovereign Creator, You are worthy of all praise, from all that You have created; it's amazing that You want a relationship with me, may I be among those You exalt and bring near to Yourself; may my praise be pleasing to You. Amen. Observations: 3:18 This is a great verse to memorize since it explains the heart of the substitutionary atonement (cf. Isa 53). It's the center of the Bridge to Life illustration (which you should be able to draw and explain from memory on a napkin or envelope). Christ died (once) in our place, so we didn't have to. However, He didn't just die for our forgiveness, but so that we could have a relationship with Him and He could bless us (see the context and comments in 1Peter 3). Application: Learn how to share this passage with others by memorizing it and the Bridge to Life. Then use it to bring someone to God. Prayer: Lord Jesus, thanks for suffering and dying for me, so I could be forgiven and have a relationship with You; may I too, die to my old self, and live by the power of Your Spirit. Amen. Ephesians 5-6 The previous chapter described how unified believers should live/walk worthy of their invitation to glory, so they actually arrive there. Chapter 5 describes how to walk in love, walk in the light, walk in wisdom, and walk in the Spirit, reaching the summit of unity, submitting to one another in the fear of God. Paul then parenthetically clarifies three hierarchical relationships that are exceptions to mutual submission. Finally he closes with the Spirit's strategy for corporate spiritual warfare, telling the Body how to stand in unity against the onslaughts of Satan. If the Body of believers follow God's instructions, they will be the temple in which He displays His glory to the world, and will fulfill God's final purpose for them as they share in the glorious inheritance of the saints in the light, during the future Kingdom of the Messiah. 5:1 Be therefore imitators of God, as beloved children. 2 Walk in love, even as Christ also loved you, and gave himself up for us, an offering and a sacrifice to God for a sweet-smelling fragrance. 3 But sexual immorality, and all uncleanness, or covetousness, let it not even be mentioned among you, as becomes saints; 4 nor filthiness, nor foolish talking, nor coarse jesting, which are not appropriate; but rather giving of thanks. 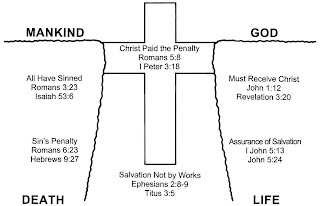 5 Know this for sure, that no sexually immoral person, nor unclean person, nor covetous man, who is an idolater, has any inheritance in the Kingdom of Christ and God. 6 Let no one deceive you with empty words. For because of these things, the wrath of God comes on the children of disobedience. 7 Therefore don’t be partakers with them. 8 For you were once darkness, but are now light in the Lord. Walk as children of light, 9 for the fruit of the Spirit is in all goodness and righteousness and truth, 10 proving/demonstrating what is well pleasing to the Lord. 11 Have no fellowship with the unfruitful works/deeds of darkness, but rather even reprove them. 12 For the things which are done by them in secret, it is a shame even to speak of. 13 But all things, when they are reproved, are revealed by the light, for everything that reveals is light. 14 Therefore he says, "Awake, you who sleep, and arise from the dead, and Christ will shine on you." 15 Therefore watch carefully how you walk, not as unwise/fools, but as wise; 16 redeeming the time, because the days are evil. 17 Therefore don’t be foolish, but understand what the will of the Lord is. 21 subjecting yourselves one to another in the fear of Christ. 22 Wives, be subject to your own husbands, as to the Lord. 23 For the husband is the head of the wife, and Christ also is the head of the assembly/church, being himself the savior of the body. 24 But as the assembly is subject to Christ, so let the wives also be to their own husbands in everything. 25 Husbands, love your wives, even as Christ also loved the assembly/church, and gave himself up for it; 26 that he might sanctify it, having cleansed it by the washing of water with the word, 27 that he might present the assembly to himself gloriously, not having spot or wrinkle or any such thing; but that it should be holy and without blemish. 28 Even so husbands also ought to love their own wives as their own bodies. He who loves his own wife loves himself. 29 For no man ever hated his own flesh; but nourishes and cherishes it, even as the Lord also does the assembly; 30 because we are members of his body, of his flesh and bones. 31 "For this cause a man will leave his father and mother, and will be joined to his wife. The two will become one flesh." 32 This mystery is great, but I speak concerning Christ and of the assembly. 33 Nevertheless each of you must also love his own wife even as himself; and let the wife see that she respects her husband. Observations: 5:1-2 We learn how to love by observing God's love of us. Butterfly believers (who undergo the mind/value transformation of 4:23 and Rm 12:1-2 -see comments there), should imitate Christ, in giving themselves for the benefit of others (love is sacrificially doing what is in another's best interest) in their worship of God. They will not engage in self-centered behavior as described in the last half of chapter 4, nor in the behaviors listed in this chapter. If they do, it doesn't mean that they're not saved/justified, but it means they will lose their reward/inheritance. Those who think or teach otherwise are demonically deceived, as Paul states in 5:6. The corrective for badly behaving believers is not to accept Christ, but to change the way one thinks, from believing the father of lies' deadly deceptions about life and pleasure, to believing and embracing the Spirit's truth about life. Those who walk/live in love, offer their lives to God as an offering He really likes. 5:3-6 The opposite of love is self-centered behavior, indulging our desires for power, pleasure, and possessions, independently of God. This is also known as sin, which is bad (in case you haven't been paying attention). Sin leads to death, and loss of dominion/glory. So we're faced with a choice: go for the temporal success/significance and security/safety (subsets of power), and immediate but unsatisfying pleasure, and corroding outdated possessions, or go for the eternal delights of God, at whose hands are pleasures forevermore. Only a demonically deluded worldling would chose the former over the latter. If you answered “No” to any of the above, you've been deceived. Note particularly verse 6, in an exegetical outline the point would read: The Reason (nuance) Paul can say that badly behaving believers lose their reward (VP/subject) is because God's wrath/judgment comes upon His disobedient children (complement). Paul is not talking about unbelievers, but born again members of God's family who have gone the way of the wayward prodigal son. Repentance is always an option. God always spares based upon it. It's never too late to turn around and do the right thing (unless you're lying in a coffin). It is also incorrect to say that if a believer engages in bad behavior that they're not a believer. This is an invention of well-meaning folks, who aren't seeing nor understanding the Scriptures clearly. 5:7-14 The conclusion (therefore) is that butterfly believers should not be fellow-partakers (used only elsewhere in 3:6 of being a sharer in the promised inheritance) of the deeds and discipline of the bad believers. Butterfly believers were once darkness but now they are light (in union with the Lord). Notice the fundamental change of identity (not in the dark, but darkness; the essential quality has changed to light), therefore they should walk as light, shining wherever they go. That means, live as someone born of the light (all shiny and radiant like a sunbeam). The Spirit, as the energy source of God, gives the light, which manifests itself as the fruit of righteousness, goodness, and truth. Those should be the things that characterize and flow from us, as we demonstrate in our lives what is pleasing to the Lord. Remember righteousness is knowing and doing what is right in His sight. Those who are light won't be participating in the unfruitful works of darkness, but rather the radiance of their lives (righteousness, goodness, truth) will expose/reprove the evil done by the sons of disobedience. Reprove means to expose by bringing to light. Both in word and deed, the children of light highlight the sin of those serving the dark side. Notice that the reproof is of the deeds of darkness (not the people who are darkness, the unbelievers). This is not about unbelievers, but about badly behaving believers, who are not living in the light. The conclusion in verse 14 (and following) is still about believers. The quotation is probably from a hymn based upon Isaiah 60:1-5, which is in the context of the Messiah giving glory to His people which will shine on Gentiles and kings. It is an exhortation to believers living in the dark to wake up from their sluggardly slumber, arise out of their dead, dominionless state, and bask in the glory of the ascended Messiah. 5:15-21 In light of the Messiah coming and giving light to His faithful people, believers need to be very careful how they walk/live. The difference between the wise and fools is in their choice of objectives. The fools go after what they think is right in their sight; wise chose to go after what is right in God's sight. Proverbs gives wisdom by marking out the right objectives, and the right means of obtaining them (by showing consequences of actions). The fools don't understand what God's will is. The wise are careful to know and do it. The fools squander their precious hours on earth in stupid pursuits. The wise exchange their perishable time on earth (which they can't keep) for that which is infinitely more valuable, the eternal glory of God. That's why Paul uses the metaphor redeeming (buy back) the time, exchanging it for the reward of God. Note that the will of God is knowable and doable. Fools don't know or do it. Righteous and wise men and women know and do what is right in God's sight. believers would submit to one another (there's another of those passages) in the fear of God, recognizing that they will appear before Christ's judgment seat to be evaluated on the basis of how they have fitted into and fulfilled their function in His Body. This last item is the capstone of Body life, followed by a parenthetical statement concerning hierarchical relationships in the Body, and then the final words about how the Body defends itself against Satan's attacks. Submission literally means to “line up under.” Think of a military unit, arranged in a defense formation (which is what the warfare passage in chapter 6 is all about). Submission is not a statement about worth or value, but about relative position for a specific purpose. Someone who does their own independent thing, without reference to the Lord Christ's will, or other members of the Body, is not submitting to anyone. They should fear God, because He will not be pleased with their sin. Being rightly related to others means limiting oneself for their needs/benefit, not using them to meet our needs (which should be met by our dependent relationship with God, so we're free to serve others). See the study “The S-word Submission” on Truthbase.net for more. Also see the Study Guide to Church (and the upcoming Catacomb Church blog) for how the commitment to be a Biblical body by submitting to the other members, and the oversight of Biblically qualified elders, is what constitutes a Biblical church. 5:22-33 Having just said that Spirit-filled believers are submitted to other members of the Body, the question arises: “Does that mean that there are no hierarchical relationships in the Body of Christ?” Paul address three pairs of relationships, showing that there is still a hierarchy. This is not how “mutual submission” works out. That understanding might be well intentioned, but is flat out wrong. Among believers in a church, there is not only submission to one another, but also elders (Acts 20:28 -overseers; 1Cor 16:16; 1Pt 5:1; Heb 13:7,17). Mutual submission in the Body is not people demanding that others submit to them, but everyone seeking to serve and support and line themselves up under the needs of others. The elders in their functions of shepherds and overseers could resolve differences that might arise from those submitting to each other. However, in three sets of relationships there is a clear authority, and a clear mandate to submit to that authority. The hierarchy can't be flipped around in a mutual sense, but each party in the relationship has responsibilities to the other, particularly in a marriage, where Paul spends the most words. See the resources on Marriage and Family Life on Truthbase.net which will develop the truth more fully than I can do here. So does that mean that king hubby gets whatever he wants? No, not if verse 25 is in your Bible. Husbands are to self-sacrificially (agapao) love their wives, doing that is in their best interest at the expense of their interests, desires, preferences, and sleeping in on weekends. Who got the better deal: Christ or the church? Who suffered and died for the benefit of the other and lives to sanctify and glorify the the other? Christ lives to sanctify the church, by the application of the word, so that it might be holy and without blemish in the day of judgment so the members of His body may share in His glory and rule in the Millennial kingdom. In this way He benefits as the church is benefited. Similarly, husbands love, nourish and cherish their wives, as they would their own bodies, for the benefit of the wife, and the husband shares in the glory of a glorious wife. Just like the church has a relationship with Christ that can be described as His flesh and bones (no one takes this literally by the way), so the husband has a mutually edifying relationship with his wife. Paul references Genesis 2:24, the definitive passage on marriage (as Jesus did in Mt 19:5), to show how the interconnectedness of the two. See Truthbase.net for more on the mystery of marriage. Marriage should reflect the essential unity and functional diversity of the Triune God, as two become one, through the process of leaving prior identities (legal/social declaration) to become a new unit of husband and wife, and the inextricable emotional intertwining of souls (mind/values/emotions/will) to become one new body. Paul says this is a mystery, but his focus is on the mystery (previously unrevealed information) concerning the church. However, he ends with a recap of the major responsibilities: the husband must love his wife as himself, and she must respect her husband (in the position God has placed him). See 1Peter 3 for what to do if you married a self-centered spiritual sloth. Application: Glory-bound believers need to walk in love, as children of light, wisely doing God's will, controlled by the Spirit of God, and submitted to the Lord and His Body. Whew! Prayer: Heavenly Father, thanks that You called me out of darkness to be light; please guide me in living as You desire, living and loving as Jesus wants me to. Amen. 6:1 Children, obey your parents in the Lord, for this is right. 2 "Honor your father and mother," which is the first commandment with a promise: 3 "that it may be well with you, and you may live long on the earth." 4 You fathers, don’t provoke your children to wrath, but nurture them in the discipline and instruction of the Lord. 5 Servants, be obedient to those who according to the flesh are your masters, with fear and trembling, in singleness of your heart, as to Christ; 6 not in the way of service only when eyes are on you, as men pleasers; but as servants of Christ, doing the will of God from the heart; 7 with good will doing service, as to the Lord, and not to men; 8 knowing that whatever good thing each one does, he will receive the same again from the Lord, whether he is bound or free. 9 You masters, do the same things to them, and give up threatening, knowing that he who is both their Master and yours is in heaven, and there is no partiality with him. 19 on my behalf, that utterance may be given to me in opening my mouth, to make known with boldness the mystery of the Good News, 20 for which I am an ambassador in chains; that in it I may speak boldly, as I ought to speak. 21 But that you also may know my affairs, how I am doing, Tychicus, the beloved brother and faithful servant in the Lord, will make known to you all things; 22 whom I have sent to you for this very purpose, that you may know our state, and that he may comfort your hearts. 23 Peace be to the brothers, and love with faith, from God the Father and the Lord Jesus Christ. 24 Grace be with all those who love our Lord Jesus Christ with incorruptible love. Amen. Observations: 6:1-4 The second pair of hierarchical relationships is that of children and parents. Children are to obey (listen under) their parents (not the other way around). A parent doesn't submit to their child by obeying them. Paul appeals to the first command with a specific promise attached to it (Ex 20:12). The moral law is still applicable. When the offspring is no longer a child, honor is still applicable (which is not doing everything the parents wants, especially if you have two sets of unbelieving parents meddling in their kids' marriage). Honor involves respect and listening, and accommodating preferences in the grand scheme of other responsibilities. Sometimes to follow Christ people would have to leave their parents and not accede to their wishes (Mt 19:29). Parents, fathers in particular have a responsibility to their children, to nurture them in the discipline/training and instruction of the Lord. They are really the Lord's kids, on loan to parents, from whom God will demand an accounting of their stewardship. Provoking a child to wrath occurs from inconsistent, self-centered, whatever's convenient discipline/training. The standards and rules change for the parent's sole benefit, not the child's, and this kind of corrupt authority causes rebellion. Why would a kid rebel against a perfect authority? True, we rebel against God, but in general, if the parents are blameless and love their kids, it is tougher for Satan to deceive the child into thinking the grass is greener on the dark side. Actually, it's the job of the parent to sell the child on the light, both by practice and precept (that means practice what you preach, and make sure you're teaching according to Dt 6:5-7). There a bunches of resources on Truthbase.net; learn them and use them. An ounce of prevention is worth a ton of heartbreak. By the way, a child learns submission by observing how their mother submits to her husband. What's really more important to you than the spiritual success of your children? Being part of a Biblical Body with like-minded parents committed to raising the next godly generation is a great help, but no substitute for the parents learning the truth, living the truth, and loving their children with it. 6:5-9 Servants are to be obedient to their masters in the flesh, as if they were serving Christ. Masters were to treat their slaves/servants knowing that they too would face the judgment seat of Christ for how they treated those under their authority. When the claims of the master conflicted with the claims of Christ, it was time to suffer for doing what was right in God's sight (see 1Peter 2:18). If you're not a slave, even though you might be treated like one, there is nothing in the Bible that says you have to stay in the job, but there are usually some great character building lessons and dependence to be developed in the furnace of the workplace. If you are going to stay in a job, do it wholeheartedly, or find another one. God will reward you with a greater inheritance in His kingdom for the right behavior on the job (Col 3:24). Worshiping your job, and drawing your worth and value from what it provides, is tantamount to idolatry, and God will judge idolaters with no inheritance in the eternal kingdom. You've given your life to Christ, and to your spouse (if you've married), and to raising your kids, (if you have them), and to being connected to a Biblical Body, so you can't give your life to your job and be disloyal to your other commitments. See TOYL for a Biblical View of Work and other resources to help manage multiple priorities and commitments. 6:10-18 Having concluded the parenthetical section occasioned by the climactic call for mutual submission of Body member to each other in fear of the Lord, Paul now directs his instruction to corporate spiritual warfare. According to the purpose of God, and the work of Christ, the Holy Spirit constituted the assembly of believers into the Body of Christ, under His headship. Thus they became the temple in which God's glory could be manifested to the world, in this age as they live in unity, and in the age to come as He pours out the blessing of His glory upon them. For reasons discussed briefly under Digging Deeper in the post on 2Corinthians 5, Satan doesn't want that unity to be maintained and will do everything in his devious power to disrupt it (as church history so sadly demonstrates). The battle the church faces is not against flesh and blood, although many of Satan's agents are humans taken captive to do his will, but our real battle is against the demonic forces of Satan, who controls individuals, rulers, and governments (ie, Assyria, Babylon, according to God's purposes) in this age. The warfare Paul describes in this chapter is corporate, not individual. See Truthbase.net for the series on individual Defense Against the Dark Arts . Listen to The Real Battle of Spiritual Warfare for the exposition of this passage (outline below under Digging Deeper). Satan's goal is to destroy the temple so God's glory won't be displayed, nor given to faithful saints. So the corrective is to stand in unity, and having done all, to stand. Stand is mentioned four times. The emphasis is defensive maintenance. It's not about charging the gates of hell with a water pistol, which is a good way to become toast, but about the most successful military strategy known in the ancient world, the phalanx. A single well-trained array of hoplites, or foot-soldiers, in tight formation could stand against an invading horde, and win. Each one stood firm next to his fellow soldier, and the individuals worked as a unit to repel the attackers. If they broke ranks or separated they would become vulture food. The weapons Paul describes are defensive, with the exception of the sword. 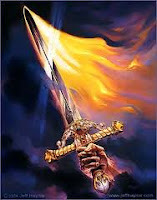 Satan largely deploys lies to do his dirty work, so truth is the best defense (the basic belt upon which the rest of the armor hangs) and the best offense, (the sword of the Spirit is the word of God). Each of the pieces of armor was referred to earlier in the book, and are truths about the formation of the Body as the temple of God. Attached to the belt of truth was the breastplate of righteousness (protecting their heart) which is the righteous conduct of a renewed mind (4:21-24), which would engage in other-centered rather than self-centered behavior. The studded boots that enabled them to stand their ground was the gospel of peace, that Jews and Gentiles are now one, effectively nullifying the lies that would cause the two groups to become factions, splitting the temple. The shield of faith enabled them to tap into the supernatural power of God to live in love. The helmet of salvation, which protects their thinking is clarified in 1Thess 5:8 as the hope of salvation, emphasizing the glorification aspect. See the elaboration of each piece under Digging Deeper. The missing piece of equipment was the greaves or knee pads, which are alluded to in the weapon of praying for the saints according to the promptings of the Spirit. As the Body puts on the truth, and keeps it protecting them, the attacks of Satan can't harm them and they will stand, and succeed. 6:19-24 Paul segues from instructing them to pray for each other to asking for prayer for himself that he might boldly proclaim the revelation of the good news, even though he is imprisoned for doing so. He sends Tychicus a faithful servant to encourage them, so they can also know how Paul is doing and encourage him (hint, hint). Paul wishes them peace (probably more harmony than the usual covenantal blessing), and continued manifestation of love and faith, the things God desires of them. He then expresses a desire for those who are loyal to the Lord Jesus the Messiah, with an incorruptible love, to have the blessing of grace in His kingdom. Application: Believers need to draw on God's strength and truth to live in unity and withstand the onslaughts of Satan; doing things independently is certain death (loss of dominion). Prayer: God, thanks that You always provide all I need to do Your will; thanks for like-minded believers, who are intent on loyally loving You. Amen. II. Our Enemy, the Devil (demons) seeks to undermine God-glorifying Unity through deception and lies. 6:10 Finally, my brethren, be strong in the Lord and in the power of His might. 11 Put on the whole armor of God, that you may be able to stand against the wiles of the devil. 12 For we do not wrestle against flesh and blood, but against principalities, against powers, against the rulers of the darkness of this age, against spiritual hosts of wickedness in the heavenly places.
? How does an individual believer obey the command to put on the armor? Are you dressed for battle or the beach? We stand in unity and combat Satan by Learning, Living, and Loving others with the Truth. Our understanding and use of each piece of armor must first come from Paul’s use of it in the previous verses of Ephesians, describing truth about the nature of the Body and how our beliefs and actions must be in accord with that corporate truth. The question to ask and answer is how does each piece of armor protect or defend against Satan’s attempts to destroy unity. The individual believer must then act in accord with that understanding to accomplish God’s purposes and glory.
? Why the emphasis on standing? Why not charge the gates of hell with a water pistol and rescue/save the inhabitants? 4:21 if indeed you have heard Him and have been taught by Him, as the truth is in Jesus: 22 that you put off, concerning your former conduct, the old man which grows corrupt according to the deceitful lusts, 23 and be renewed in the spirit of your mind, 24 and that you put on the new man which was created according to God, in true righteousness and holiness. 4:25 Therefore, putting away lying, "Let each one of you speak truth with his neighbor," for we are members of one another.
? Why is Truth so important? With what specific Truth must one gird themselves? How do you do that? What truths relate to unity? 4:24 and that you put on the new man which was created according to God, in true righteousness and holiness. 5:9 (for the fruit of the Spirit is in all goodness, righteousness, and truth), 6:1 Children, obey your parents in the Lord, for this is right. Jas 4:7 Therefore submit to God. Resist the devil and he will flee from you.8 Draw near to God and He will draw near to you. Cleanse your hands, you sinners; and purify your hearts, you double-minded. 2Tim 2: 21 Therefore if anyone cleanses himself from the latter, he will be a vessel for honor, sanctified and useful for the Master, prepared for every good work. 22 Flee also youthful lusts; but pursue righteousness, faith, love, peace with those who call on the Lord out of a pure heart.
? How does personal righteousness relate to corporate unity? How does an ignored conscience open us up to Satan? What’s key to 4:24? 2:17 And He came and preached peace to you who were afar off and to those who were near.
? How do/should you obey Eph 4:3? How does the gospel of peace relate to unity? What lies does Satan pander re: peace? D. FAITH 16 above all, taking the shield of faith with which you will be able to quench all the fiery darts of the wicked one. 3:12 in whom we have boldness and access with confidence through faith in Him. 6:23 Peace to the brethren, and love with faith, from God the Father and the Lord Jesus Christ.
? How does Satan throw darts? What effect do those darts have on unity? How does faith quench them? Faith in what? 1Thess 5:8 But let us who are of the day be sober, putting on the breastplate of faith and love, and as a helmet the hope of salvation. I Pt 5:8 Be sober, be vigilant; because your adversary the devil walks about like a roaring lion, seeking whom he may devour. 9 Resist him, steadfast in the faith, knowing that the same sufferings are experienced by your brotherhood in the world.
? How do the different aspects of salvation relate to the battle for maintaining unity? How do you put the helmet of salvation? 5:26 that He might sanctify and cleanse her with the washing of water by the word, Jn 17:17 Sanctify them by Your truth. Your word is truth. Mt 4:4 But He answered and said, "It is written, `Man shall not live by bread alone, but by every word that proceeds from the mouth of God.'" 7 Jesus said to him, "It is written again, `You shall not tempt the LORD your God.'" 10 Then Jesus said to him, "Away with you, Satan! For it is written, `You shall worship the LORD your God, and Him only you shall serve.'" Heb 4:12 For the word of God is living and powerful, and sharper than any two-edged sword, piercing even to the division of soul and spirit, and of joints and marrow, and is a discerner of the thoughts and intents of the heart. John 8:31 Then Jesus said to those Jews who believed Him, "If you abide in My word, you are My disciples indeed. 32 "And you shall know the truth, and the truth shall make you free."
? How does one use the word of God against Satan? How do you gain the skill to use it? 21 to Him be glory in the church by Christ Jesus to all generations, forever and ever. Amen.
? What did Paul pray for the Ephesians? How do those things relate to unity?
? What other things did believers pray for other believers in the Bible? What role does discernment play in prayer? God in a nutshell: God gives us the resources to accomplish His will, and expects us to do it. 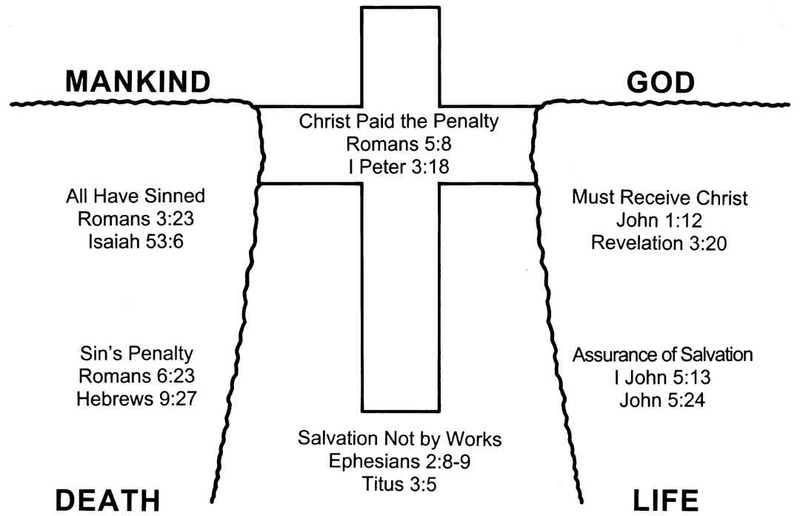 Build-a-Jesus: Jesus is our Lord, who gave Himself for us, so we could give ourselves to Him. Us in a nutshell: We need to live in love, walk in wisdom, and wage war with the weapons God had provided. Submission to a Biblical Body is a result of being filled with the Holy Spirit, as is submission in the other realms God specified. Sign up here to receive the Daily Truthbase via email. 7 Questions - How Do You Know What's TRUE? © 2015 William F. Cobb www.Truthbase.net; Graphics © 2015 Chesterton Cobb. Theme images by mammuth. Powered by Blogger.